Is career agility right for you? Marti Konstant did not know the answer to this question five years ago, so she created a research project to uncover the answer for herself and for you. She is a workplace futurist, career growth analyst, author, speaker, and founder of the Agile Careerist Project™. Her career path includes: artist, designer, brand developer, entrepreneur, technology marketing executive, and investor. The goal of her work is to help professionals realize more fulfilling, prosperous lives inside and outside the workplace. 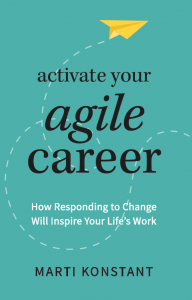 Her book, Activate Your Agile Career: How Responding to Change Will Inspire Your Life’s Work was listed as #1 New Release and Best Seller on Amazon for Career Guides and Career Development. Referencing economic, cultural, and technology drivers, Marti provides a model for the future of work. Using the data from interviews and survey research, the stories of relatable workers and entrepreneurs set the tone for the rise of the agile careerist. In September, I will bring Marti online into a wisdom-sharing webinar to answer your deep questions as to how you can respond to change and personally make your career more agile. To this end, please save the date! Learn how career agility will change the way you think about your career and your life. And bonus! Find out how Marti & I collaborated to attain #1 New Release and Best Seller status on Amazon. This webinar will continue to expand on our live author salons resulting in a rich and rewarding learning experience. It will also serve as a space to grow an ongoing, vibrant learning Networld, the cornerstone of my inclusive philosophy. We want you to be part of this unique online series that starts with Marti’s wisdom and builds on it. 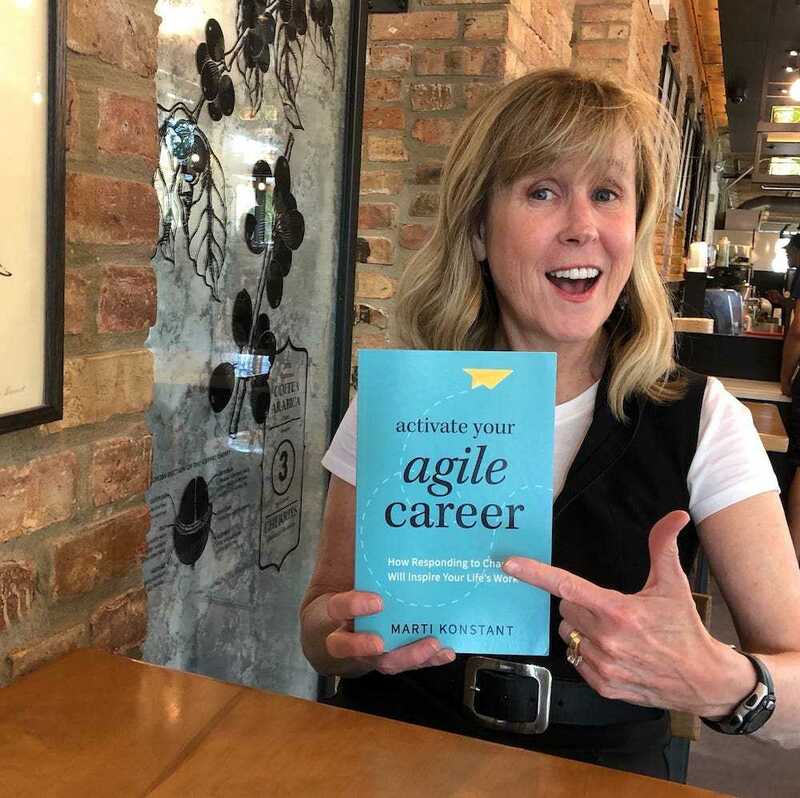 We’re also going to be bringing you insights from Marti over the coming weeks leading up to the Salon as she authors a series of blog posts on career agility, how she brought her book market, and how she attained best-seller status, so stay tuned! To join the notification list, please fill out the form below. You will also be the first to have the opportunity to register for the salon. You have successfully joined our notification list.